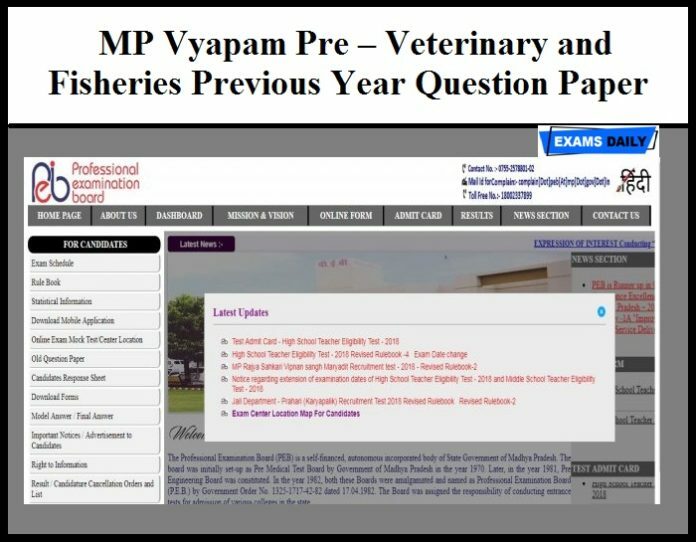 Madhya Pradesh Professional Examination Board (MP Vyapam) has released Notification for Pre-Veterinary and Fisheries Test (PV & FT) – 2019. The Examination will be held on 26-05-2019. Candidates can apply Online from 16.04.2019 to 30.04.2019. Here we given Previous Year Question Papers for Pre-Veterinary and Fisheries Test (PV & FT) – 2019.